Feel like you are on vacation! 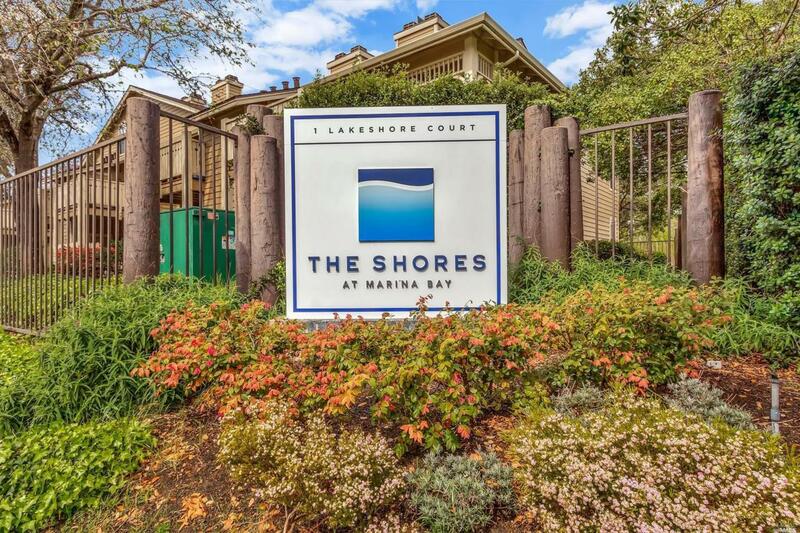 Enjoy picturesque views of nearby Marina, biking & walking trails including city views. Lovely gated community w/ beautifully kept grounds. Amenities include beautiful swimming pool area, hot tub, updated gym w/ sitting area & out door water fountain! This ground floor unit w/ 2 bedrooms, 1 bath including laundry area is ideal for enjoying all the bay area has to offer. Enjoy Ferry commute!Check out 3D tour. Kitchen Cntr Stone Composite Dishwasher Incl. Disposal Incl Electric Range Incl. Refrigerator Incl. Listing courtesy of Robert Triglia of Coldwell Banker Solano Pacific.